In this brief chapter, I will explore some of the themes of humiliation that Salafi-Jihadists repeatedly disseminate in their discourses. Humiliation in this case is not an outcome of a particular or single event, such as defeat in wars, but rather a product of long historical trends of decline, decay, and loss. What made this ‘humiliation’ so potent is its combination with a grandiose and inflated self-image. 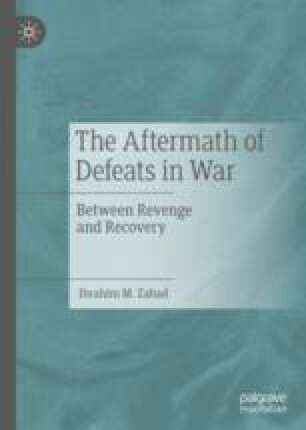 This chapter applies the framework presented in the introductory chapter to the question of Islamist violence and demonstrates that humiliation itself is not sufficient to cause violence but rather has to be combined with an inflated self-image.